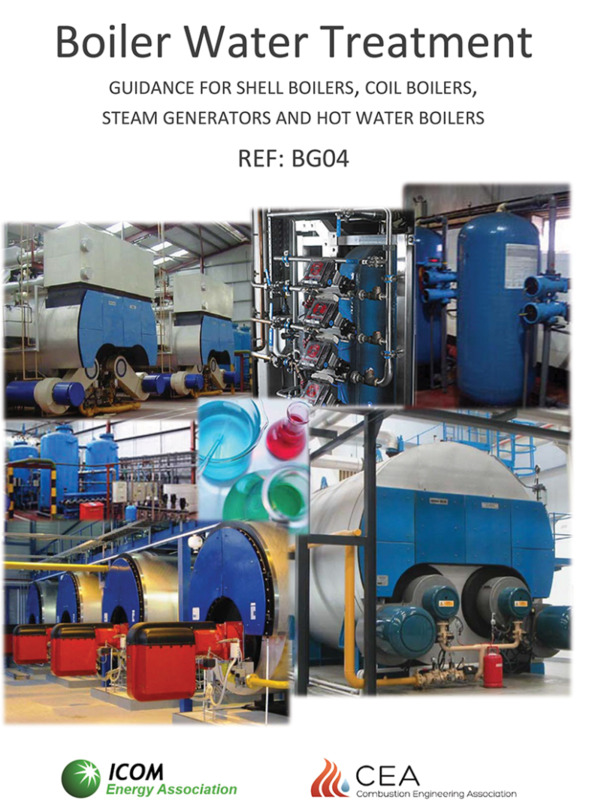 The ICOM Energy Association and the Combustion Engineering Association (CEA) have joined forces to produce a new Industrial Water Treatment Guide, an easy-to-follow guide to water treatment for steam and hot water boiler systems. As such, it is designed for use by non-specialists through the use of straightforward, everyday language.Designated ‘BG04’, the new Guide was launched at the CEA’s conference in July to an audience of primarily plant managers and engineers. It was well-received and acknowledged as providing an invaluable insight into the responsibilities of managing commercial and industrial boiler plant.Industrial Water Treatment Guide BG04 will now become an integral component of the training courses run by the CEA for operators and managers of industrial and commercial boiler plant.ICOM Director Ross Anderson noted: “Correct water treatment is essential in ensuring the reliable and efficient operation of steam and hot water boilers but until now there has been no definitive guide for industrial boilers. BG04 fills this gap in documented best practice and will play a key role in preventing corrosion and scaling.”CEA Director David Kilpatrick added: “We recognise that many of the people responsible for the day-to-day management of such plant are not chemists or water treatment specialists. BG04 has therefore been written as a simple guide to setting up and treating these systems to ensure long, reliable life.